Awesome! What a Halloween Costume! 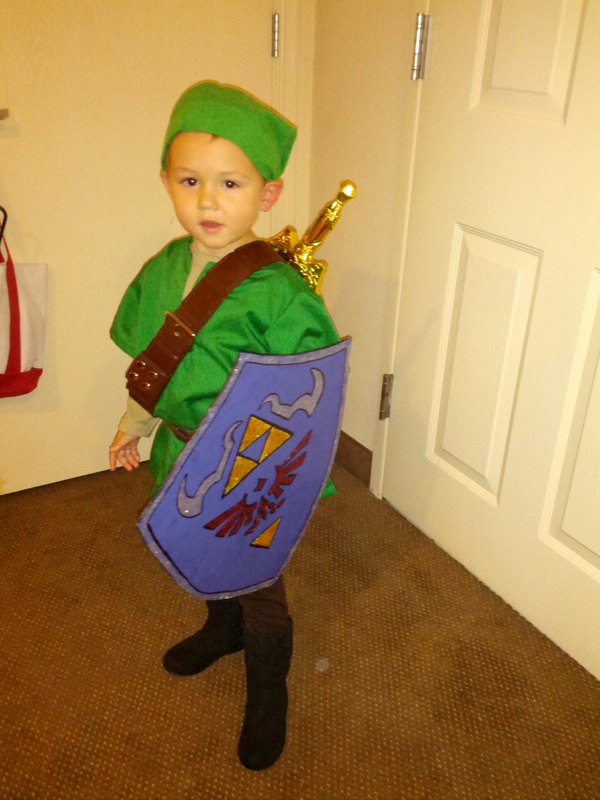 Link ftw, I bet he got the most candy that night. He is also the biggest fan of Mupen64Plus AE. When I got back from my deployment right after I got the video plug-in running, I could never get my phone away from him. He has his own phone now just for playing is favorite game (Zelda OOT of course) Spoiled child, I know. Don't make it too spoiled, for your and his own good.